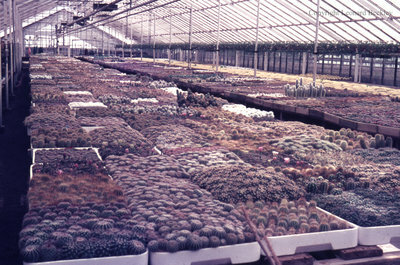 A colour slide of plants inside of a greenhouse. View is of a table filled with cactus plants. Greenhouse, May 1976, Leonard Beckley. Whitby Archives A2014_004_068.